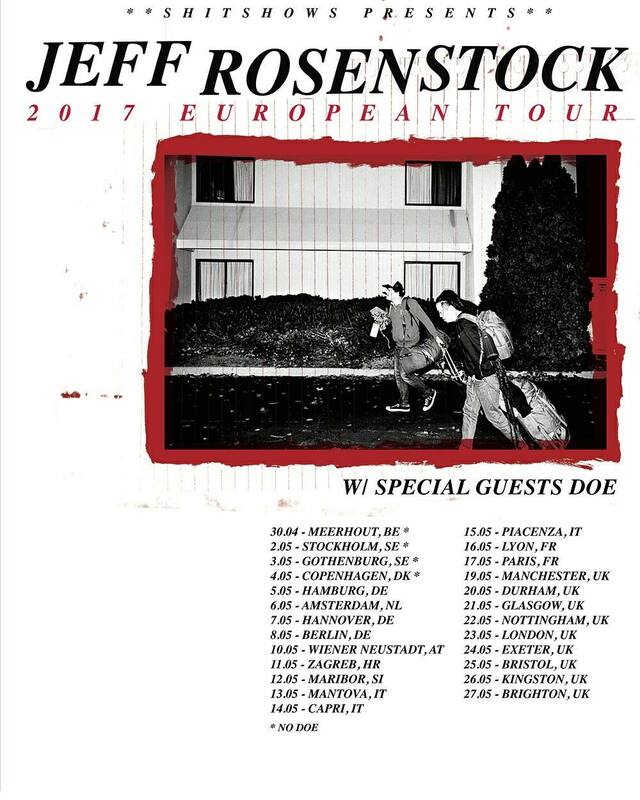 Jeff Rosenstock has announced that he will be going on a full band UK tour with Doe this May. Rosenstock’s latest album is his 2016 third album ‘Worry.’ on SideOneDummy Records. Doe’s latest record meanwhile is their debut album, ‘Some Things Last Longer Than You’, on Specialist Subject Records and Old Flame Records.